Fine Lines Decorating and Property Maintenance Services Ltd is an established, multi award winning, painting and decorating business. 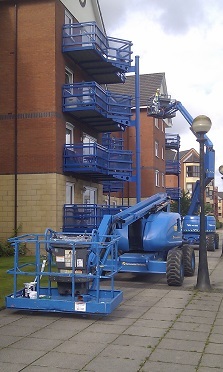 We can also provide a complete comprehensive property repairs, maintenance or refurbishment service. This could include an efficient co-ordination of trades that are tailored to meet your needs and deadlines at reasonable prices. 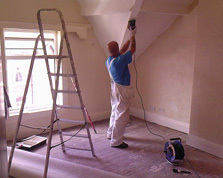 Our professional decorators and tradesmen are qualified and/or time served. We welcome you to take advantage of our free no obligation, competitive, estimate service which we provide to domestic and commercial customers for all size jobs and contracts large or small. In April 2007 we were proudly elected as members of the Painting and Decorating Association. Later in the same year we were elected as members of The Guild Of Master Craftsmen, an acknowledgement of professionalism, integrity, craftsmanship and customer service. Johnstones Painter of the Year finalists 2012. Nectar National Business in the Community Awards finalists 2010. Proud to announce another PDA awards win 2018. Well done to the team ! These accolades now introduce Fine Lines as the only company to win this combination of national awards in Lancashire. 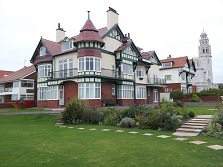 We are committed to offering a quality service to our customers within the Fylde coast, Lancashire or the UK without compromise at reasonable rates.